3-D printing: An alternative to expensive prototyping. I was talking with my friend Hank yesterday. Hank is an old friend from my “China days.” We lived in the same Guest House at Jiaotong University in Shanghai way back in the day. Hank, like I, has a lot of China manufacturing experience, although for the last ten years or so he has been working in a role completely unrelated to China, as a Senior Manager at a well-known Silicon Valley co. We were discussing sourcing in China and I mentioned to Hank the high, often prohibitive, cost of molds for plastic injection molded products. These molds can easily run into the tens of thousands of dollars. And, believe me, the high cost of a mold has stalled many a promising product launch. Hank mentioned 3-D printing which is a new technology for making prototypes and which is much cheaper than the old technologies. 3-D printing is also known as Additive Manufacturing, Desktop Manufacturing, Rapid Manufacturing, Rapid Prototyping etc etc. The best way to think about this is as follows; In traditional prototyping when you make a metal or plastic part you cut that part from bar stock or plates. You are basically subtracting a part from the whole and for this reason traditional prototyping is also known as Subtractive Manufacturing. Another term you often hear is machining. A good analogy for traditional prototyping is chiseling a statue, which is labor intensive and expensive. With 3-D printing, on the other hand, you are developing a product from nothing. After your computer makes a 3-D rendering of your design you send this design to your printer as you would a normal document. Instead of ink, however, a 3-D printer contains glues, powders, resins, molten plastics etc etc and these are fashioned via a nozzle into a prototype according to the CAD design. Materials are then cooled to harden. This is why 3-D printing is also known as Additive Manufacturing. In fact the term “printing” can be a little confusing because nothing really is being printed, but is being built instead. I like to call it “Organic Prototyping.” And whereas a good analogy to subtractive manufacturing is chiseling, a good analogy for additive manufacturing is baking a cake, where you pour successive layers of batter into a mold and then harden the whole in the oven. Some vendors in China have 3-D printing capabilities but as 3-D printing is more suited to prototyping samples and very small production runs, I think the technology has only limited application in China right now. Injection molding is still the way to go for big production runs. Hank sent me a link to a company in New York that specializes in 3-D design. I am pasting that link here as it might be helpful to inventors who have a great idea but lack the resources to get expensive prototypes or molds made in China. 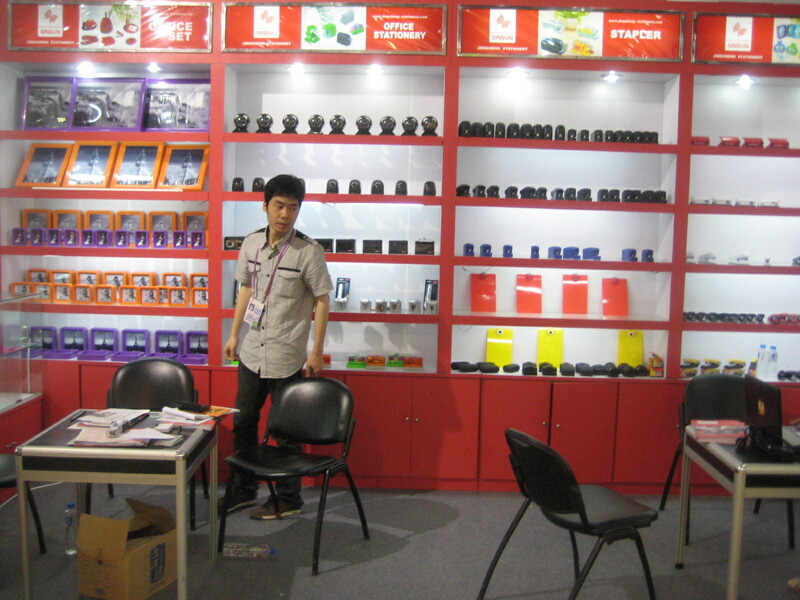 3-d molding company .But ask your vendors in China as well if they have these capabilities. As I said, some do and some don’t. 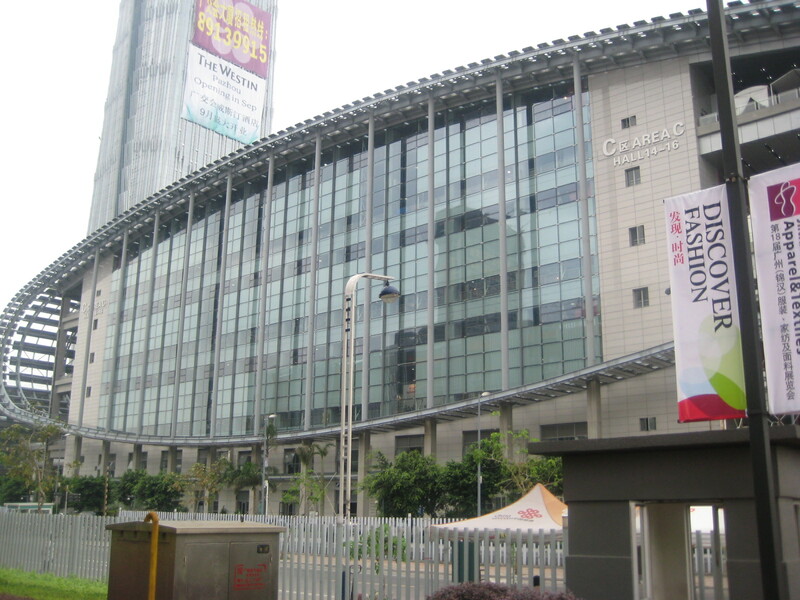 Chris writes that when you deal with suppliers in China it is always good to use a factory with Hong Kong or Taiwanese management if you can find one. This is correct. The reason is obvious, the HK and Taiwanese managers are just more in tune with Western and Japanese business practices and they tend to manage their factories well. The only caveat is that you will probably end up paying more for your product than you would were you to use a Chinese mainland managed factory. Still, I think it is worth paying a little more to get better communication and often better quality and for this reason if you do have a choice between giving an order to a Hong Kong managed FTY or a Mainland managed FTY, you should always give the order to the Hong Kong/Taiwanese FTY even if the cost is greater. Chris mentions that as the Guangdong Government is trying to phase out Low Cost Manufacturing, many industries are relocating to the Eastern China, Zhejiang, Shanghai, Jiangsu i.e. The Changjiang Delta area as opposed to the Pearl River Delta area in Guangdong. He says that he has heard from other Hong Kong based sourcing agents that the MOQs are very high in these areas now, while quality tends to lag. One reason is that these are bigger FTYs and they need bigger orders to stay afloat. That the Central Govt is trying to phase out Low Cost Manufacturing in the South of China has become something of a standard line in recent years. Nothing new here. 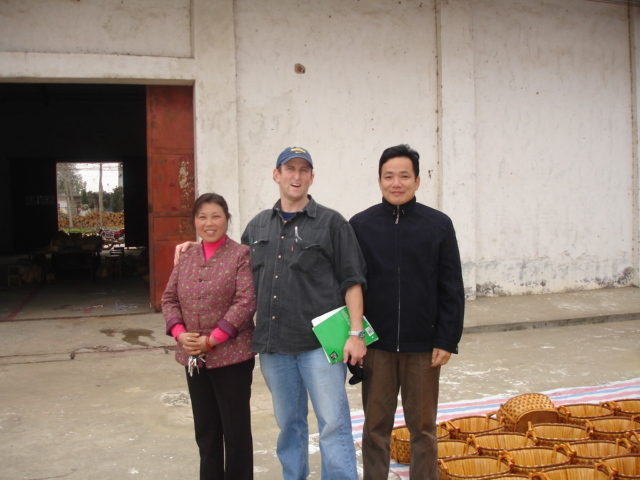 But this is the first time I have heard about higher MOQs and lower quality coming out of suppliers in Eastern China. I think this makes sense because manufacturing around Shanghai, in places like Zhejiang and Jiangsu tends to be on a larger scale. I have been in a lot of huge textile and furniture factories there over the years, much larger than anything I have ever seen in other parts of China. So it is quite natural that these bigger FTYs need bigger orders to stay afloat. I am not sure about the quality statement. I think it depends on the industry and product. I do think that the South is still a good choice to source products because the infrastructure and product knowledge have been there for several decades whereas only in recent years has other manufacturing moved up north. Of course I would qualify this by saying that once again it depends on the product and industry. Chris mentions that Fujian Province is a good place to manufacture now. He says it is a very good place to send your apparel projects and that all of the big global brands have production there. I was not aware of Fujian Province’s strength as a textile producing base. I have made 2-3 trips to Fujian Province over the last 10 years and my sense there is that prices are very low, but that quality is an issue. But these were not textile orders I was working on so I would not know. Still, I would be a little cautious sourcing in Fujian Province. It does not have the infrastructure that the low cost South has, nor the sophistication that areas feeding Shanghai have e.g. Zhejiang and Jiangsu. I like that about the “old-fashioned” way of sourcing. I agree, it is just a much safer way to go about it. Had an interesting conversation yesterday with a local company. The guy I spoke with detailed some of the problems they have had with one of their major suppliers. Apparently, the supplier consistently struggles to meet shipping deadlines because they do not have the capacity to handle the increasing order QTYs and they have to subcontract a lot of production. It turns out that this supplier was selected without a qualifying audit. And this is one of the perils of giving an order to a vendor whose facility you have never visited. In other words they may not be who they say they are. A GOLDEN RULE of China sourcing is this: never give an order to a vendor you have not yet qualified. And by qualified I mean visited with a checklist in hand. In the office: Make sure the vendor has an organized office. If they are as busy as they say they are they should have several computers. If you go into an office and just see just one terminal and a fax machine that is not a good sign. What if that computer breaks down ? You may not be able to get an answer to a question for several days. Ask to see your company file with a record of all sample orders, revisions etc etc. Ask to see counter samples which you have approved, as all should be clearly labelled and dated. All this tells you if the vendor is on top of things. If you have concerns about order capacity, then ask the vendor to show you invoices from completed orders of other customers. Are the QTYs big ? Are there multiple invoices from the same customer indicating repeat orders and customer satisfaction ? These are things the vendor should be more than willing to show you. In short, a quick tour of the office will show you how organized the vendor is. And believe me you do not want to work with an unorganized China vendor, all the more so if you have a design driven product when record-tracking of details is very important. Subcontractors: Since so many vendors in China use subcontractors it is vital to make sure those subcontractors have themselves been qualified by your vendor. Ask your vendor what procedures they have in place to qualify subcontractors. In fact any visit to a factory in China will usually include a visit to that factory’s subcontractors. If your vendor does not volunteer to do this then you should suggest it. If they balk at the suggestion, then that means their subcontractors are scattered and probably not at a convenient distance to the factory, which is not good for you. In the workshop. Are areas well lit? Are instructions to the workers posted? Are QC and Production areas clean? Does the factory look busy? Is there any evidence the factory uses child labor ? Is the person showing you around knowledgeable about the orders? I remember qualifying a vendor a few years back. I went to the factory and I discovered that the person showing me around, who told me he owned the factory, knew nothing about any of the orders on the workshop floor. And I mean nothing. He was either a very hands-off manager or was simply a Trading Company Manager posing as a FTY manager (plenty of those in China). But in either case it was a warning that I delivered to my customer. And there are just so many more questions to ask when you are thinking about giving a vendor an order. Can you chew gum and talk to the President of China at the same time ? I turned on the TV last night and I was somewhat shocked to see Obama chewing gum while walking to a state event with Chinese President Xin Jinping. As expected media in China were incensed with this breach of etiquette. Some people here in the US may wonder why all the fuss about a piece of presidential chewing gum ? The fact is that in some countries in Asia one does not chew gum in public. In Japan, for example, baseball players will not chew gum during a ballgame because it is considered rude to do so . In fact eating anything in public in Japan is is widely frowned upon. China is a little more relaxed in this respect and people eat where and when they want. But at a higher level one encounters the same strict cultural formalities in China as they do in Japan which means you just don’t chew gum when you are meeting with a high ranking official or the president of a company. When I am in China I have no compunction chewing gum when I am talking with an vendor on the factory floor. But if the owner of the company is anywhere near I quickly jettison the gum and I am on my best behavior. That is what is expected of both Chinese and non-Chinese alike. My first thought is that either Obama has some insanely ignorant China advisors in the State Dept or he is incredibly arrogant. I really don’t know which and I am amazed that no one in the presidential entourage whispered over to him as follows: “Sir, take the gum out. This just doesn’t look good and it will create a storm in a teacup with your Chinese hosts.” Maybe someone did say something to Obama, and in true Obama fashion, he ignored the advice. Who knows. But can you imagine if Xi Jinping were to visit Washington and as he walked in the White House Rose Garden with Obama were to light up a Marlboro ? There would be a media firestorm here unlike any other and everyone would remark how uncouth the Chinese were. But Obama’s ignorance or arrogance, whatever it was, is a microcosm of condescending Western attitudes towards China over the past 30 years. No effort is made to understand China and its customs, while we dictate to China what we need, whether that be an order of upholstered chairs, a container of washing machines or a signature on an international carbon emissions agreement. But times are changing. If you don’t respect China, then you will find China difficult to deal with. And judging by the tone of President Xi’s remarks after meeting with Obama, the President should have saved the stick of gum for the privacy of his State Guest House. China’s Great Leap Forward with Intellectual Property (IP). A former client of mine sent me an email a couple of weeks ago asking me to help him with his trademark application in China. He applied for a trademark in China last year and he is just getting the results of his application now. But that is par for the course in China with trademark registrations, the process easily taking upwards of a year. This may sound like a long time but it really is not because the trademark bureau has to search quite a few filings to make sure there are not similar trademarks. China has the largest patent office in the world in terms of how many patent applications it receives per year, well over 500,000, and I imagine trademark applications are just as many. The result of my client’s application was that some of his product has been approved and some of it has not. It seems there is a similar trade name on the market in China that the Trademark Bureau felt too closely resembled my client’s tradename. I looked at the report from the Trademark Bureau and I can see where they might have a problem with my client’s tradename. The law firm in Beijing that is handling my clients application said he could appeal if he wanted. But my client seems reluctant to spend more time and money on this. My advice to him was to consult an English speaking lawyer in the US or Canada as language seems to have been a bit of an obstacle in his correspondence with the law firm in Beijing. Although undecided about what to do, he says he is glad he has gone through this exercise and has acted in good faith to protect his name in China. I agree. But I am impressed how far China has come in terms of protecting Intellectual Property. China’s first trademark law was implemented in the early 1950s but it was more a law in name than in practice given the communal nature of post revolutionary Chinese society and the suspension of many commercial laws during the Cultural Revolution. With the opening of China in the early 1980s the Chinese Government saw fit to establish a new Trademark Law and they did so in 1982. That law has been revised three times since, most recently this past May. It is evident that the Chinese Government, facing severe criticism from overseas firms doing business in China, has identified a need to catch up to international Patent and Trademark standards, and I at least see my client’s application as one example that they are doing a pretty good job of it. It is pretty amazing when you consider that 30 years ago trademarks and patents meant next to nothing in China. Now they are protected.